Nicosia mayor: Relations with Turkish Cypriots ‘starting to become a friendship’ | James Crisp. Freelance journalist in Brussels. The relationship between the two communities in Nicosia, Europe’s last divided capital, is starting to become a friendship, the city’s Greek Cypriot mayor has told EurActiv. Constantinos Yiorkadjis described how joint efforts across the UN buffer zone, including twin start-up hubs and a common urban design strategy, were bringing them closer as the two sides’ respective leaders continue tough negotiations to try and reunify Cyprus. 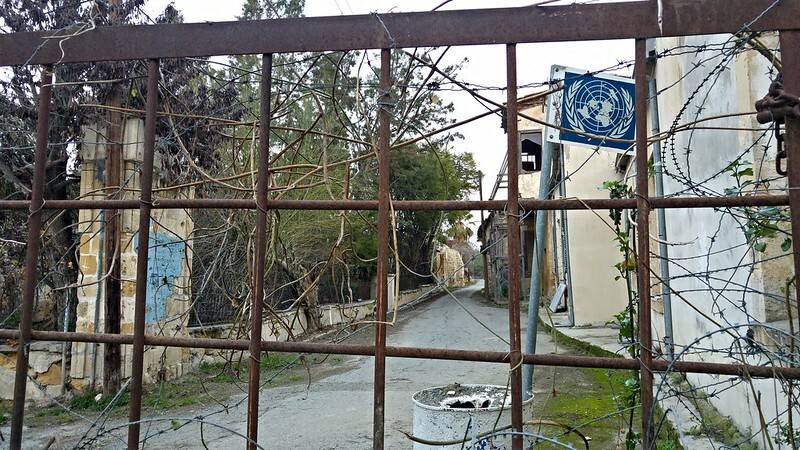 A demilitarised United Nations buffer zone was created between North and South Cyprus in 1974 after the Turkish invasion. Cutting though the old town of Nicosia, which is often referred to as Europe’s last divided capital, “the Green Zone” splits the Turkish and Greek Cypriot communities. You can listen to the SoundCloud below or read a transcript on EurActiv. You can see a Flickr album of Nicosia by clicking on the photo underneath the SoundCloud. This entry was posted on January 24, 2016 by jamescrisp2014 in Flickr, Interviews, Journalism, Soundcloud and tagged Cyprus, Greece, Nicosia, Turkey, UN.